Safety Guaranteed: Conforms to the USB Type C Specification version 1.1, standard 56kilohm identification resistor, which ensures a safe charging at 2.4A Maximum and the speed of data sync up to 480 Mbps. No damage to your legacy USB hub. Quick Charging & Sync: 20AWG USB cables which reduce resistance, it support faster charging speed and error-free 480-Mbps data transmission. Communications anti interference: Compared with ordinary cable, our Tronsmat type c cable add iron, it can prevent electromagnetic interference (EMI) and radio frequency interference (RFI). 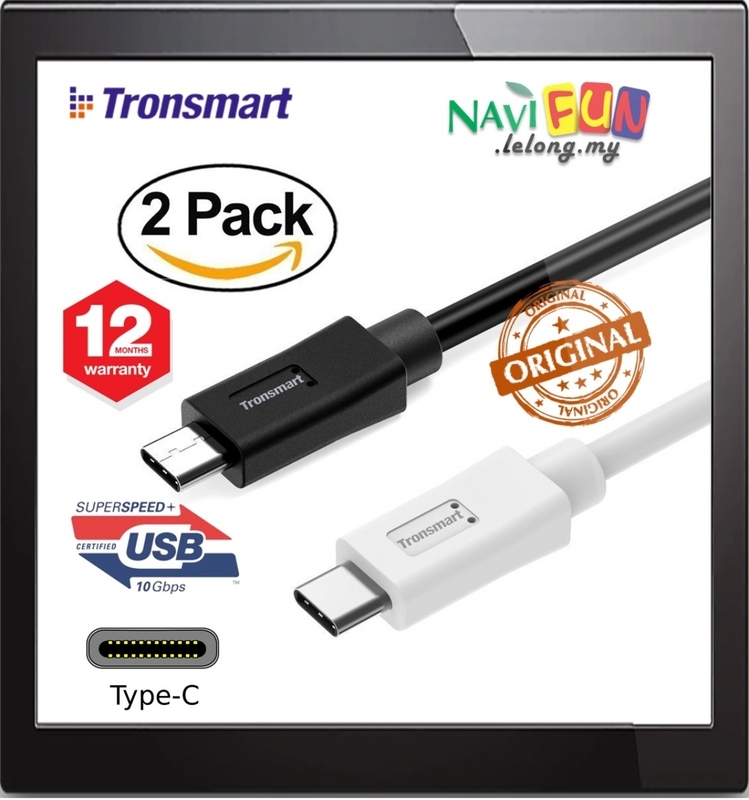 Compatible with the new USB C devices such as the Apple New Macbook 12 Inch (2015), OnePlus Two, Google Nexus 5X, Nexus 6P, Pixel C, New Nokia N1 tablet, Lumia 950, Lumia 950XL, ChromeBook Google Pixel and other devices with USB C connector. Low-profile connector with a reversible design simplifies the connection Plug and unplug easily without checking for the connector orientation. Unique full metal shield usb c cable with iron foil ensures EMI (Electro Magnetic Interference) and RFI (Radio Frequency Interference) protection. new Nokia N1 tablet to a computer or USB charger for transferring data or charging. Data sync, charging. 2 in 1 cable. The maximum data transfer rate up to 480Mbps, 3A. 12 months warranty will be guaranteed.